LONDON – Apr. 11, 2017 – IMAX Corporation (NYSE:IMAX) and ODEON Cinemas Group, including its Nordic Cinema Group subsidiary, both wholly owned by AMC (NYSE:AMC), and the largest cinema operator in Europe, today announced they signed a binding term sheet for 25 new IMAX® theatre systems to be located throughout Europe. 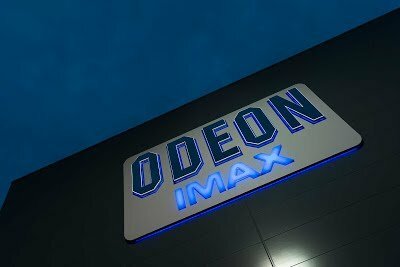 Under the agreement, 10 IMAX theatres have been identified and will be added to existing ODEON complexes throughout the UK/Ireland, Germany, Spain and Italy, with the locations of the remaining sites to be determined throughout Western, Southern and Northern Europe. “Europe is a region with tremendous long-term growth potential. Today we are further delivering on our promise to expand in this strategic market with the largest European deal in our history. We believe this agreement, which is a direct result of our strong per-screen averages in the UK and Germany, will enhance our ability to replicate this success and expand our presence across Europe – particularly in underpenetrated territories like Germany, Italy, Spain and Scandinavia,” said IMAX CEO Richard L. Gelfond. Today’s joint revenue-sharing arrangement brings ODEON & Nordic Cinemas’ total IMAX commitment to 47 theatres. The exhibitors opened their first IMAX theatre in 2008 in Greenwich, England, and today operate 15 theatres open in the UK, two in Spain and one each in Italy and Sweden, with an additional 28 contracted to open. AMC is the largest movie exhibition company in the U.S., in Europe and throughout the world with approximately 1,000 theatres and 11,000 screens across the globe. AMC has propelled innovation in the exhibition industry by: deploying more plush power-recliner seats; delivering enhanced food and beverage choices; generating greater guest engagement through its loyalty program, web site and smart phone apps; offering premium large format experiences and playing a wide variety of content including the latest Hollywood releases and independent programming. AMC operates among the most productive theatres in the United States’ top markets, having the #1 or #2 market share positions in 22 of the 25 largest metropolitan areas of the United States, including the top three markets (NY, LA, Chicago). Through its Odeon subsidiary AMC operates in 14 European countries and is the # 1 theatre chain in UK & Ireland, Italy, Spain, Sweden, Finland and the Baltic States.